Four defendants have been charged in connection with a fraud scheme where $48 million worth of health care claims were made for patients after they died. According to a criminal complaint, Mohamad Makki, 43, and Wansa Nabih Makki, 41, were charged with multiple health care fraud offenses. Mamoud Makki, 36 and Hossam Tanana, 53, husband of Wansa, were charged with laundering some of the proceeds in the health care fraud scheme. Investigators say between January 2010 and January 2018, Wansa owned and oversaw operations of two local pharmacies: LifeCare Pharmacy in Livonia and LifeCare of Michigan in Farmington Hills. Both were "closed door" pharmacies, meaning they were not open to the public and only filled prescriptions for people associated with various care facilities. Mohamad Makki was the pharmacist in charge at both pharmacies. The indictment alleges that during the course of the conspiracy, Wansa and Mohamad Makki billed Medicare, Medicaid and Blue Cross Blue Shield of Michigan for about $9.2 million for medications that were never dispensed. 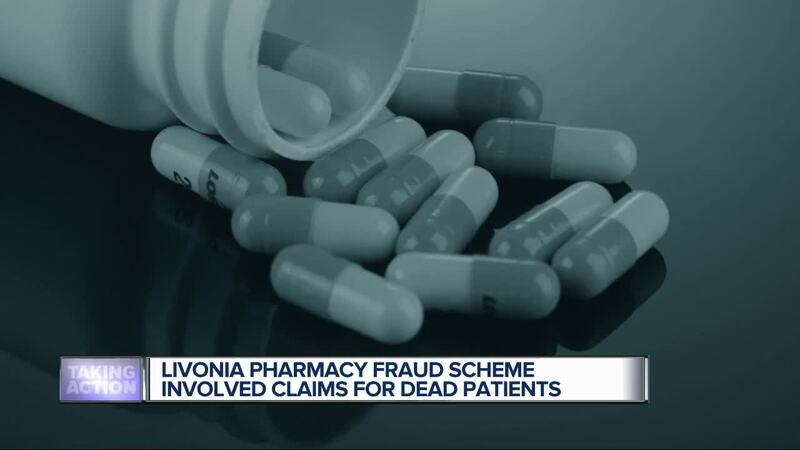 Additionally, the defendants allegedly billed insurance companies for submitting claims for delivering over 500 medications to people who had died prior to the claimed date of delivery. According to the indictment, proceeds of the fraud scheme were allegedly laundered by overpaying consulting and delivery companies operated by close relatives of Wansa and Mohamad Makki. Tanana was previously convicted for diverting controlled substances like oxycodone, Vicodin and Xanax while being licensed as a pharmacist. After being released from federal custody in April 2012, he allegedly incorporated a pharmacy consulting company. Between the date of incorporation and December 2013, Tanana's consulting company received over $400,000 from the LifeCare Pharmacy. The pharmacy also paid over $1 million to a delivery service opened by Wansa's brother, Mahmoud Makki. If convicted of a health care charge, the defendants face a maximum sentence of ten years in prison and a maximum fine of $250,000. Additionally, the defendants face a two-year sentence if convicted of aggravated identity theft.